Laze away the days on the river, wet a line, tell some stories. Bring the family and enjoy a stay at AuSable Riverview Resort. 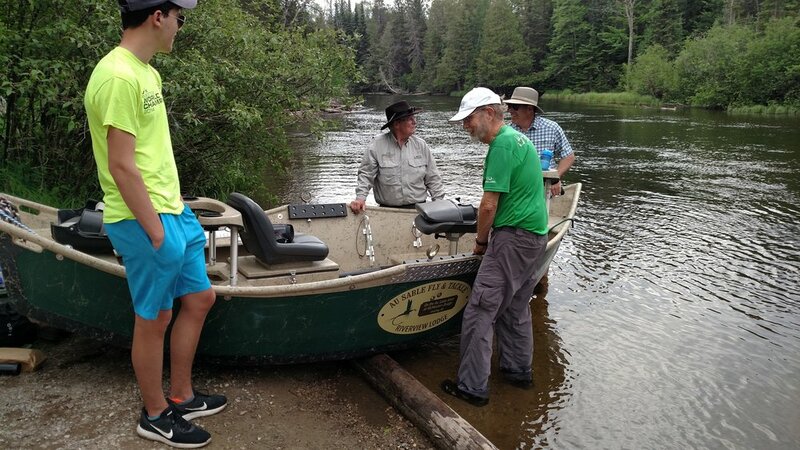 Some days are just meant to be spent on the Au Sable. Here Scott Hummon shares some great shots from his drift earlier in the week. The Drakes have been hatching and the Hex hatch is just about upon us. Time to gear up, get out and enjoy all that our river system - and our property - have to offer! Here's a picture of a large Brown trout caught right in front of Riverview Lodge & Cabins. Note the McMasters Bridge sign. The trout waters in the vicinity of the resort have some really nice, and big, trout - Brook, Rainbow & Brown. A few nice drift boat floats in the area are from Wakeley Bridge to McMasters (~7-8 hours), Smith Bridge to McMasters (~8 hours), Conners Flat to McMasters (~3-4 hours), and McMasters to Parmalee (~6-8 hours). There are vehicle spotting services through the fly shop. 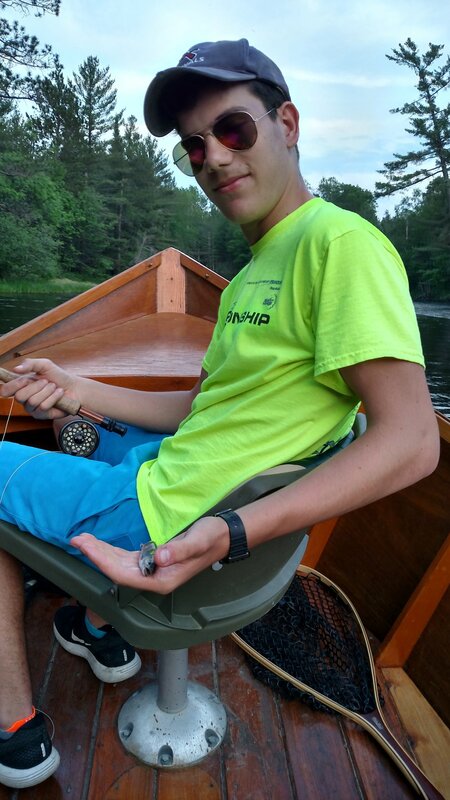 You can also buy some great flies for your trip in the fly shop, Au Sable Fly & Tackle, and some snacks and beverages. Important Tip: Pay special attention to the waters near and in front of the cabins, lodge & Red house. Fish this area long and hard. Don't blow through too quickly just because you're near the take-out access. Some days you just get lucky! Some days you work hard and make that perfect cast. No matter how it happens both ways you just enjoy the success. I have caught fish while walking up the river with my line dangling in the river behind me. All of a sudden there is this tugging at my rod and sure enough there is a fish! Some days you cast until your arm is ready to fall off, making wonderful casts to perfect fish lairs, with nothing but the satisfaction that you placed your fly perfectly, only to have nothing. Then there is the day that you drop that fly perfectly in between the rock and the log jam and the water explodes. That happened today and this lovely brookie made my day! Even the blind shot underwater with the Canon was great. So many times all I get is a tail, nothing or just a blur. Today was a good day. Tomorrow may be a goose egg, but I will come back next week because of today!